The first time my son lost a tooth, I thought, "How fun! I'll make this really special!" So I found some glitter and decided a sprinkling of glitter on the floor would help him feel like the Tooth Fairy had really been there to visit him. Ohhhhh, BIG mistake. Because once you start, you really can't stop. And I didn't appreciate that if it had a huge impact on my son, he would probably go to Dad's house and talk about it. Then, if Dad didn't do the same thing, our son would begin to wonder why the Tooth Fairy leaves pixie dust at Mom's house, but she doesn't do the same thing at Dad's. 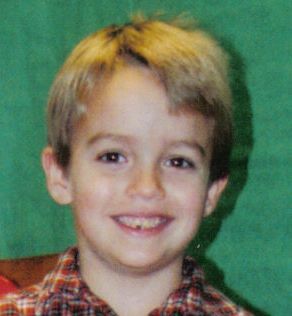 The picture I attached is of my son in first grade. If you look closely, you'll see that one of his front lower teeth is missing.